Digging and Planting a Live Christmas Tree. There’s nothing quite like a live Christmas tree, but do you really want to sacrifice a beautiful tree that has been growing for years just so you can have a live Christmas tree? Or would you be interested in a live Christmas tree that has been dug and balled and burlaped so you can plant it in your yard after Christmas? Or better yet, would you like to dig one yourself? 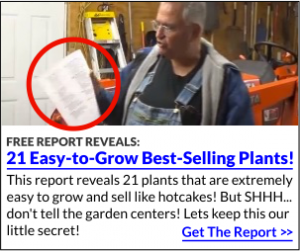 In this video you will discover all kinds of little tricks we use in the nursery business. Enjoy! I know! I know! I know! We messed up the video. These new fangled video cameras treat each segment as a separate video. That means that all the segments have to be stitched together in video editing software. And . . . we goofed up! I burlaped the ball then went back and finished digging it! Huh? Yeah. We got two segments out of order. Then I think we lost the last segment where we planted the tree. I’ll see if we can recover that piece and add it to this page.Hey, I’m a “Dumb Ole Dirt Farmer” stumbling along in cyberspace! I do the best I can. See how all of this text is centered on the page? Know why? Because I can’t get it to left align! So . . . I’m going to leave it like that. Because it just doesn’t matter. -Mike McGroartyQuestions or comments? Post them below. if your soil has a lot of clay try adding to the soil , some sand and earth, any color as well as leaves from previous fall, and small twigs,, veggie scraps as mentioned before, and coffe grinds, loose tea from tea bags,,,,, nothing w oil or animal scraps,,, never, you will artect, varmine, ugh,,,,, lol enjoy ! Now after I put a plant in any food scraps of vegetables ortheir skins go into that dirt,,,, I just make a suitable hole, area and dig that out to suit the peels or scarps of vegies, and then recover,, voila, next I stpep on the dirt to firm it, and next day I just water lightly in that area, you can tell cos its not like the rest of the area’s dirt,,,, smiles,, magic,,,,, hehe simple, easy,,,,, I also am very bad with internet,,,, I guess, those that have green thumbs, are tech challenged,,, hehehe have a good season, happy gardening ! I noticed while you were digging the tree that your soil looked nice and easy to dig. Did you do anything to prepare your nursery soil when you originally planted the trees? If I plant a tree in my ground, wait a few years and dig it up, the soil is VERY hard to dig. Mike: I live in Eustis, Florida. My yard, front and back, is nothing but SAND. I would love to grow some plants, but what can I do with all SAND? I sure would appreciate some advice. Yeah…my son just said “move to Ohio”. Some areas of Ohio are sandy and some are pure mud. Trust me, the plants like the sand a lot better. You can grow in containers which is what most nurseryman do these days. That way you control the growing medium. You don’t have to apologize for your lack of perfection! It’s what makes your videos so good. You are just like the rest of us and that;s why we are here. I just got your course on back yard plant propagation and I’m getting ready to do mu first experiments with some plants I have had waiting. I’ll be starting slow due to low finances, but I hope to get it going and eventually need to move to a bigger place. Thanks for your example and hard work for us. Great video. Very informative. I would like to have a live tree for Christmas. I am concerned about the weight. I like an 8ft tree. How much would that weigh? Merry Christmas. Gail, an 8′ tree would be quite heavy, I’m guessing 150lbs. But that is a guess. Thanks Mike, The use of burlap for transplanting a Christmas tree is great. Maybe I can use the same method for transplanting manageable fruit trees? Absolutely you can, just move them while they are dormant. Great information, thanks! I have a question. Five years ago there was a Bosnian Pine planted next to the front of my house, which is still small but will grow to be way too large for the location. I wanted to move it, but read that pines have taproots that you cannot dig up and move, so I didn’t dare. I figured I’d leave it until it got too big and then cut it down. I’d still rather move it if it could survive. What are your thoughts? Your a work animal Mike!! Thanks for the Great video(s)!!! So, the roots will push through the burlap? Thank you for all the tips and tricks! They sure come in handy! great job as usual mike,since its slow during winter moths i would like to see a video on making mist sprayers for spring cuttings. thanks again frank upstate n.y. Thanks Mike, You may have mentioned it and I couldn’t hear it on the video, but do you recommend mulching a newly planted tree in the winter to help protect the roots from frost? Thank you for all your videos. I have tried to start new plants from roses cuttings using a honey insted root boost. There was’nt one present to dig up. Oh well maybe next year. Have a wonderful Christmas and a joyous year. Thanks so much for all your videos. So much good information!! I have tried to start new plants from tree cuttings using a powdered root boost. I have never had any luck. I am trying again this year and will not water them. Do you plant them in sand rather than good dirt??? Thank you for all you teach me about gardening, you are my go to guy. Merry Christmas to you and yours. thanks for showing how to dig & wrap…..did not know that you could leave the burlap on thanks…..
Is it beneficial to water a newly planted tree through the winter. Ex. 5 gals/week for a 5 foot tree. Ralph, that really depends on the soil you have. With that said, the soil here at the nursery, where I planted this tree, is as sandy as you can get and I did not water it or the other plants that I put in this week. And I won’t water them over the winter. They don’t need to be wet, shouldn’t be wet, just moist. Winter weather usually provides enough moisture without any help. And the evaporation factor is very low. Would it harm them to water them? No. Not as long as the soil drains well. But plants in the ground need so much less water than a plant sitting on top of the ground. next time can you give Dustin a few more lines or at least one? He doesn’t get to say a peep! Just kidding. Happy new year. Laura, Duston is like his mama. Neither one of them say much! the video was helpful but could have done with a little less noise in the background . it was hard to hear the instructions at the end which is what i really needed to know about planting the tree. Merry Christmas. Laura, you’re right about the noise but we didn’t have a wireless mic with us and we were only about 50′ from a highway. Didn’t really expect that much traffic at that hour, nor did I even think about it being noisy until we were already taping. Here’s the thing about our videos. We just shoot them and do the best we know. If we tried to make them perfect there would be far fewer of them. Merry Christmas, Mike and the whole crew! Danelle, thank you so much. We appreciate that. Happy Holidays to you and yours! Merry Christmas Mike! I enjoyed your tree planting video. Didn’t matter that you messed up a wee bit. You are so thorough in explaining that even I can now do it. Always wondered about how to do a root ball and now I know. Thanks for showing how to tie up the tree branches and wrap the ball. I’m still in the building courage stage and this video is inspiring. Hi Mike, thanks for the video! It was very informative. I do have a question though. Do you water the tree when it’s in the house or after it’s replanted? Mary, while the tree is in house, yes you water it. Put the tree in tub, keep at least 3″ of water in the bottom of the tub and when you water it slowly pour water over the ball of the tree allowing some to soak into the ball. Hi Mike! Thanks for all of your great videos. You mentioned about possibly not being able to backfill the tree due to frozen ground. I have been known to keep some soil in buckets in my garage to use in these cases so it won’t be frozen when I go to use it (also for indoor repotting during winter). Keep up the great work. I love seeing you working with the plants even in the winter. I try to “extend” the season as much as I can! Merry Christmas! Kathy, you are right about keeping some soil in the garage so you have soil to back fill with. I usually recommend that but I was trying to keep the video as short as possible, and we had a lot of noise from the highway when I was planting that tree. Don’t ever apologize for making somebody think! They might learn something. Jim, you’re right. When we have to think we are more engaged! Couldn’t help but chuckle cause it seems you have absolutley NO ROCKS. I would never be able to dig out a tree like that. Phoebe, you’re right. On this property we don’t have many rocks in the soil, but just a few hundred feet to the south of where I dug this tree we used to have trees in a field that was all rocks! It made it more difficult to make a root ball, but we still did it. I enjoyed your video on live Christmas tree planting and the correct way of doing it. I have learned so many useful tips from your site to make my work easier. My backyard gardens are small, but expanding each year. I’m grateful for all of the useful information that you provide. I’m another who stumbles through cyberspace. Thank you for showing us how to dig and burlap a tree!